THIS is one of the sight for sore eyes thousands of runners will pass by on Monday as they complete the final leg of the Belfast City Marathon. 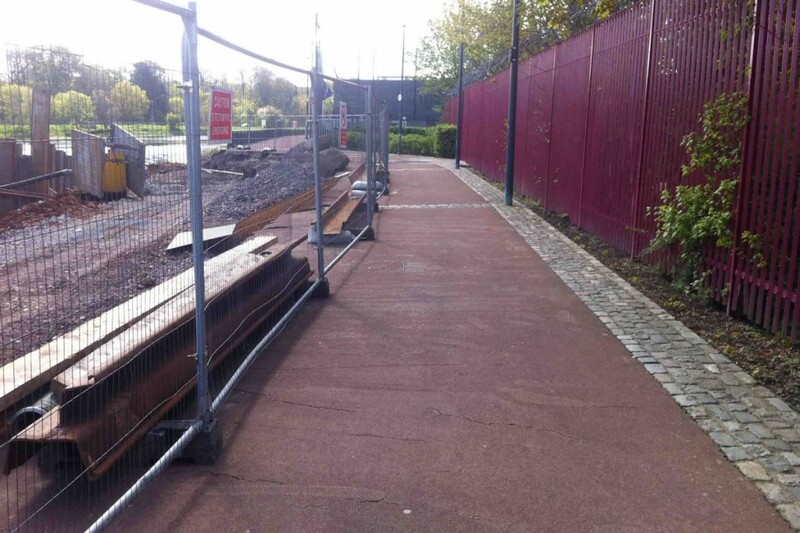 The stretch of path, which has ongoing structural work, runs along the River Lagan near the Ormeau Road. It is at the point of the marathon where runners are coming to the end of their 26 miles. According to Mrs Hughes, who is a Lower Ormeau resident, there are tiles lying along the path which have been there over a week.